Has your classic bike seen better times? No matter whether you are the owner of an antique motorcycle that is newly constructed, you have found the right place. OK Team Classic helps you with the restoration of historic vehicles no matter what sort of motorcycle you have. We restore your antique machine fully or just partially as you wish. We discuss every necessary work with you and prepare a cost outline. 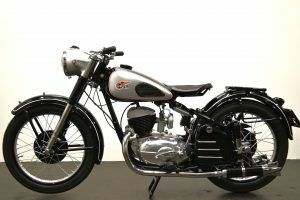 Our antique motorcycle specialists pay special attention to the restoration of pre-war motorcycles. If a spare part should not be available, we have parts reproduced. Our professionals take special care of the restoration of your antique bike from A to Z. Pictures speaks louder than words. Here you can find a variety of our work. Please contact us so that we can work out the best solution for your questions. Convince yourself of our work. Has your classic bike seen better times? No matter whether you are the owner of an antique motorcycle that is newly constructed, you have found the right place. OK Team Classic helps you with the restoration of historic vehicles no matter what sort of motorcycle you have. If a spare part should not be available, we have parts reproduced. Our professionals take special care of the restoration of your antique bike from A to Z. We are available for further information, price inquiries, placement services and much more any time you have questions. For direct inquiries, please use our inquiry form specially provided for this purpose. © Copyright 2019. OK Team Classic | All rights reserved!